Book your tickets to see The Righteous Brothers with one of these special offers. Get either Save over $57 off VIP Seating or save $31 on Orchesta & Booth Seating! Tickets start at just $48 before taxes and fees. 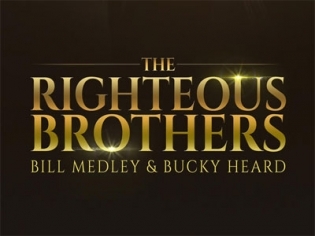 Enjoy a night of classic rock when The Righteous Brothers featuring Bill Medley Mobile. They'll be performing your favorites! Reserve your tickets here today and save up to $23 Off + a Free Seat Upgrade. Tickets start at $49/pc before taxes and fees. One of the greatest rock and roll duos of all time, the Righteous Brothers, are taking the stage at Harrah’s for an extended, but limited run. Get ready for a night of classics such as “Soul & Inspiration,” “Unchained Melody,” “The Time of my Life,” and “You’ve Lost That Lovin’ Feelin’.” The musical stylings of the original group, which launched in the 60’s, survive with the addition of Bucky Heard who took over upon Bobby Hatfield’s death in 2003. This performance is a true Vegas-style spectacular with a 4 piece horn section, a top-notch rhythm section and 3 female backup vocalists. Splurge on the “Meet and Greet” package and get a VIP seat and meet Bill Medley after the show!